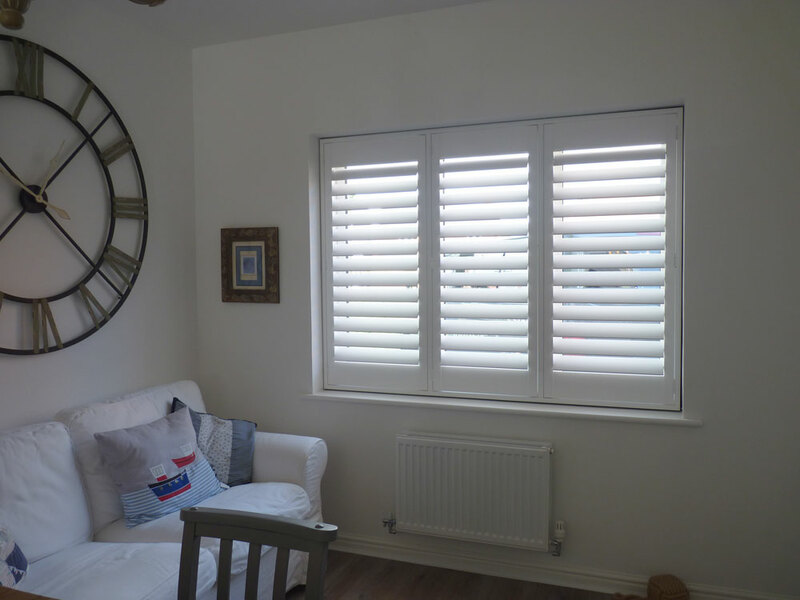 Plantation shutters come fitted in a neat 4 sided frame, this frame then fits within your window recess. Wide windows generally have vertical mullions to, they divide the window and add strength and allow different sections to open independently. 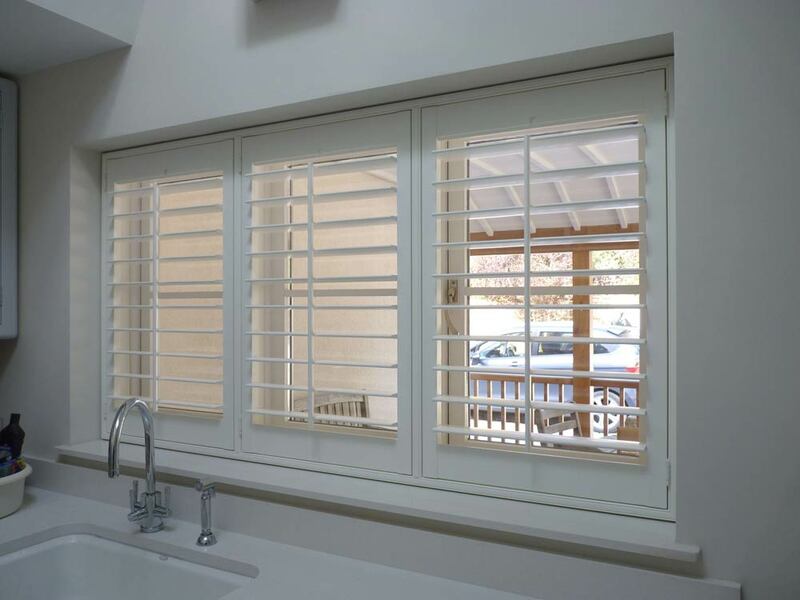 Within a shutter frame, you can add additional frame uprights called Tposts to match these window mullions, they also help support the shutters and provide easy access to the individual opening window sections. A Tpost is shaped like a ‘T’, (it’s like two L frames back to back) you can have multiple Tposts within a frame and hinge shutters from these Tposts to customise how they open providing more flexible designs. Tposts are highly recommended on typical UPVC windows that are divided into 2, 3 or 4 sections. 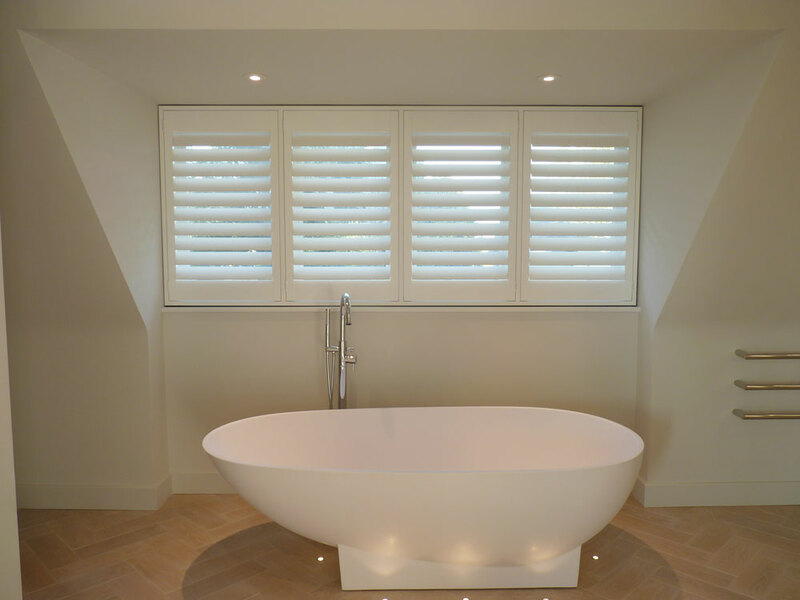 Your shutters will match the window and align with the glass area closer. Windows with straight handles and a Tpost next to it generally sit behind the side stile of the shutters allowing the shutter frame to be fitted closer to the window. They work well on doors with sidelights, so rather than having large bi-folding shutters or top hung track with shutters that don’t align with the door features, use Tposts instead. A typical configuration on a doorway would be LTLRTR. You can choose not to have a bottom frame between two Tposts if there is no threshold on the door or if it opens inwards. They work really in the centre of bay windows, as the bay angles or corners effect where the shutters hinge from, without Tposts the bi-folding shutter joints will not match the mullions on the window and look out of line. Tposts are perfect when using the D1 fixing system and saves screwing shutter frames up into concrete or metal lintels. They available in all materials, but we recommend using Wood, especially when hinging shutters from Tposts on doors.